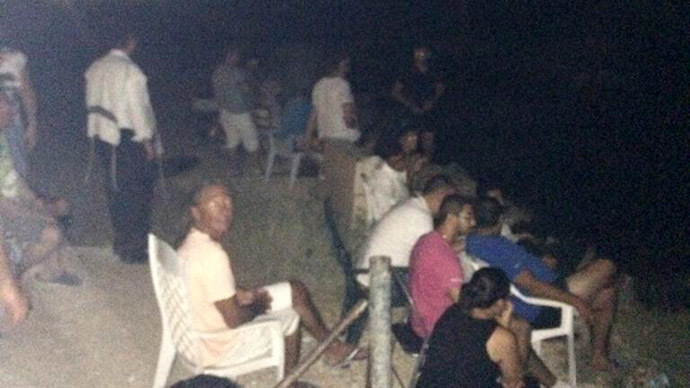 An image of Israelis in Sderot who gathered on a hill to watch and celebrate Gaza being bombed has gone viral on Twitter. The photo posted by a Danish journalist caused uproar online. Allan Sørensen, the Middle Eastern correspondent for the Danish newspaper Kristeligt Dagblad, said that he took the image on Wednesday in Sderot, a city about two kilometers from Gaza. In just a few days the scandalous image has gathered about 8,500 retweets. The picture sparked confusion and outrage among social media users, with many questioning the morality of making a scene of murder a public spectacle and celebrating it. @allansorensen72 shame on them. Those lights are killing inocent people! @allansorensen72 If this is true then God help us all. What's become of the human race? “The hill has been transformed into something that most closely resembles the front row of a reality war theatre. It offers a direct view of the densely populated Gaza Strip,” wrote the paper’s Middle Eastern correspondent Nikolaj Krak. The article said that while the majority of the 25,000 residents of Sderot hid in their homes in fear of another attack from Gaza, others brought chairs and sofas to watch Israeli night airstrikes while enjoying pop-corn, hookah and chit-chatting. 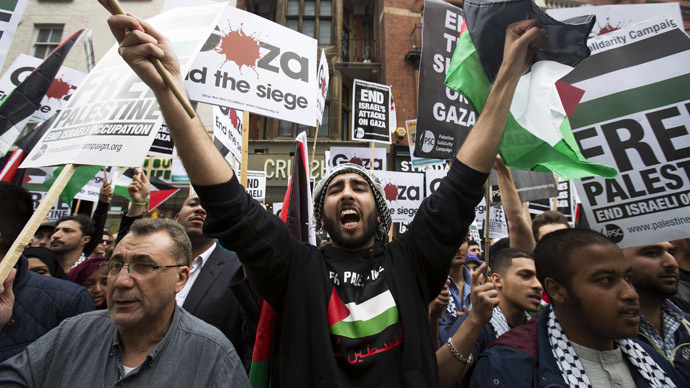 "We are here to see Israel destroy Hamas,” Eli Chone, a 22-year-old American living in Israel told Kristeligt Dagblad. He then pointed to a dot of light in the sky explaining that, “it is a fighter who is about to dive. This means that it is about to shoot." Following the airstrike the spectators on the hill started cheering, and “solid applause” followed, the Danish correspondent wrote. In the Wednesday attack celebrated by Sderot residents, a Palestinian journalist was killed and several others were injured when a missile hit a press vehicle in the Gaza Strip, according to local media reports. 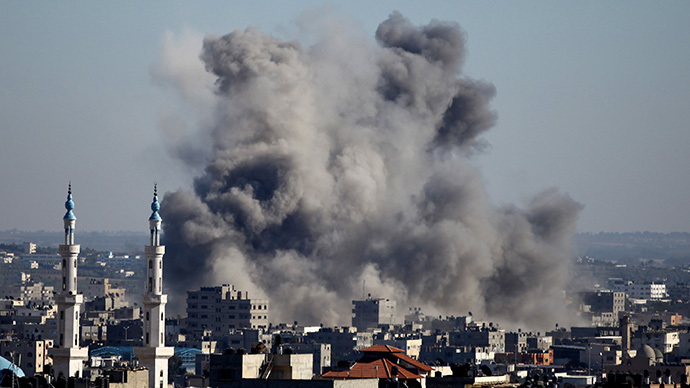 On Tuesday, Israel launched Operation Protective Edge, which it claims is an attack against Hamas militants in Gaza. However, at least 130 Palestinians have been killed and over 900 injured, most of whom are civilians, according to medical officials. 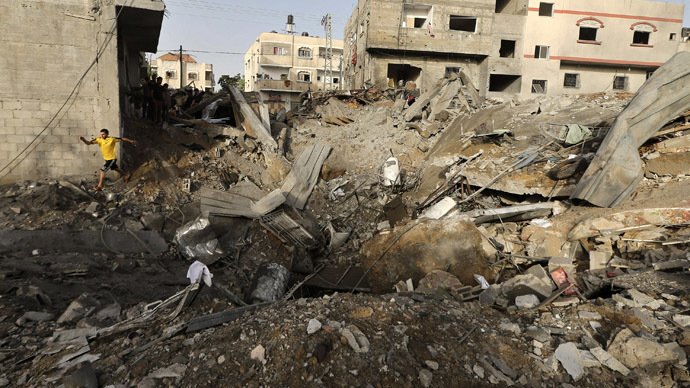 Israeli airstrikes killed nine people on Saturday. Israeli forces bombed a center for the disabled in the eastern part of Gaza City, killing two women, according to Palestinian medics. Three militants and four more civilians, including a 65-year-old man, were also killed by airstrikes in the coastal part of the city. One of the strikes targeted a mosque which was reduced to rubble. The Israeli government said it had housed Hamas weapons. Since the military campaign began, there have been no Israeli fatalities. However, over 120 Israelis have been injured, according to local media. Despite UN concerns, international pressure, and protests, Israeli Prime Minister Benjamin Netanyahu has said the strikes will continue. 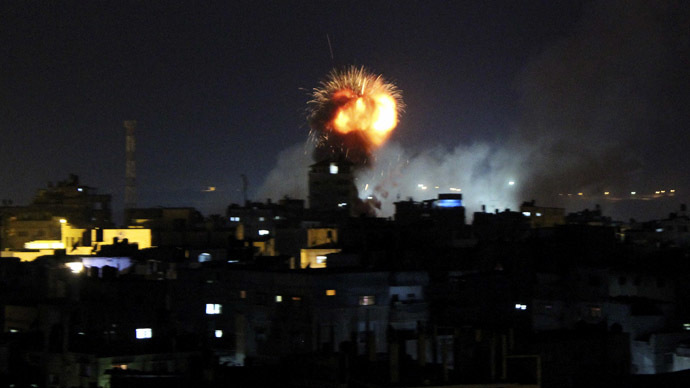 Since July 8, Israel has hit 1,160 targets, according to the country’s military press service. Army Chief Lieutenant-General Benny Gantz also hinted that Israeli tanks and troops are ready to enter Gaza by land.